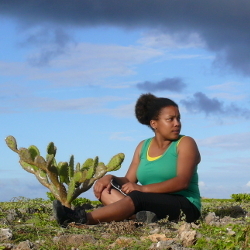 Sylvienne has a background in environmental sciences and has a warm place in her heart for the Island on which she was born and raised: Curaçao. Before she left for the Netherlands to pursue in depth studies, she worked on a voluntary basis as a nature educator. This ‘sabbatical’ phase of her life provided her with a deep understanding and appreciation of the values of the local Island ecology.